Since the day when 5 million viewers saw the episode in which Galentine’s Day was born, this new “holiday” has taken on a life of its own in popular culture. Check out the hashtag #GalentinesDay on Instagram and Twitter to see how many businesses – including Target and other major brands – have jumped on the bandwagon. 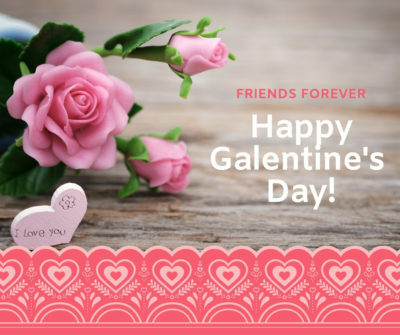 A search on Pinterest under the words Galentine’s Day is a great way to get ideas for promotions you can use in your store to encourage women to buy gifts for their friends. There are so many BFF items on the market, and cards and gifts with a friendship theme generally sell well year round. You could encourage customers to throw a Galentine’s Day party by sharing some entertainment ideas featuring products you stock. Many items intended for Valentine’s Day will work, but you need to make sure you’re not promoting items aimed at couples. This is a perfect opportunity to highlight both serious and humorous friendship/women’s gifts, especially if they happen to be pink or red. With Valentine’s Day on a Thursday this year, there may not be many women will be looking to throw a party for their female friends the night before. But how about hosting a special Galentine’s Day evening at your store? Invite your women customers and their friends to come share champagne, chocolate, spa treatments, games — and of course the fun of shopping. 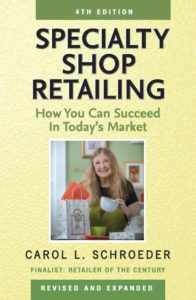 PS There will not be a Specialty Shop Retailing blog next Monday due to the NY NOW gift show.